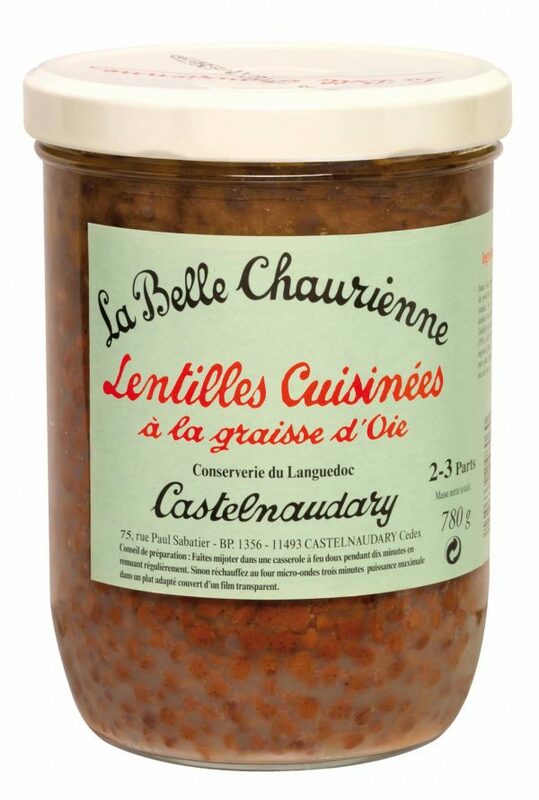 A tasty French lentil and vegetable based side dish. Makes a tasty accompaniment to duck confit and roasts. 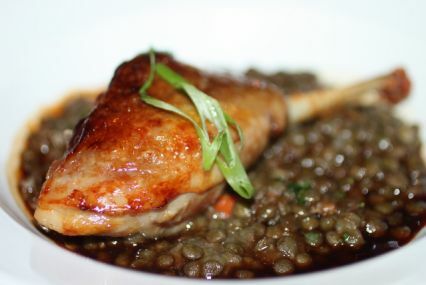 Other ways to enjoy these cooked lentils is with good quality cooked York style ham or with sausages. Dietary Information: Wheat free. Lactose free. Egg free. Nut free. Contains traces of gluten free. NOT suitable for vegetarians. Water, goose fat, tomato concentrate, salt, garlic, pepper, modified corn starch, green lentils, carrots, onions, larding bacon (pork, water, salt, pepper). Simply warm gently in a saucepan.